The Islands of the Bahamas are an archipelego with a string of 700 islands and cays, 30 of which are inhabited. 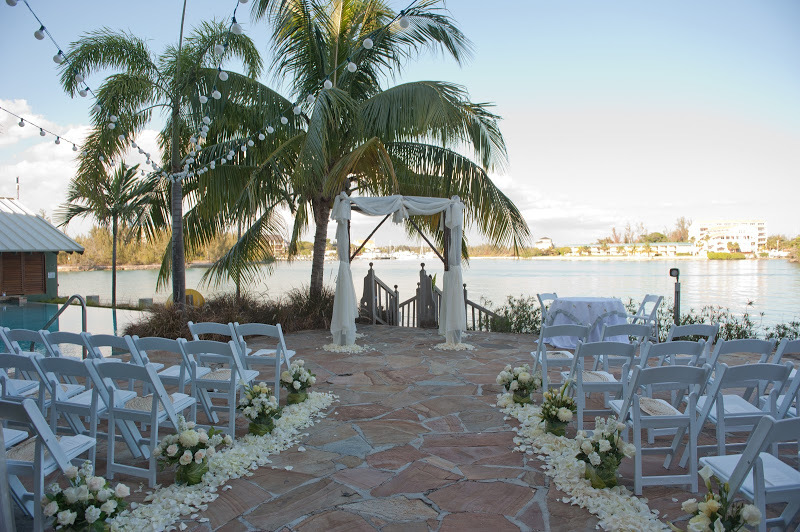 There are 16 main islands, each special, charming and beautiful in its own right, for your Bahamas Wedding. These include Acklins. Andros, Bimini, Cat Island, Crooked Island, Eleuthera, Grand Bahama Island, Harbour Island, Long Island, Mayaguana, Nassau, Paradise Island, San Salvador, The Abacos, Eleuthera, The Berry Islands and The Exumas. 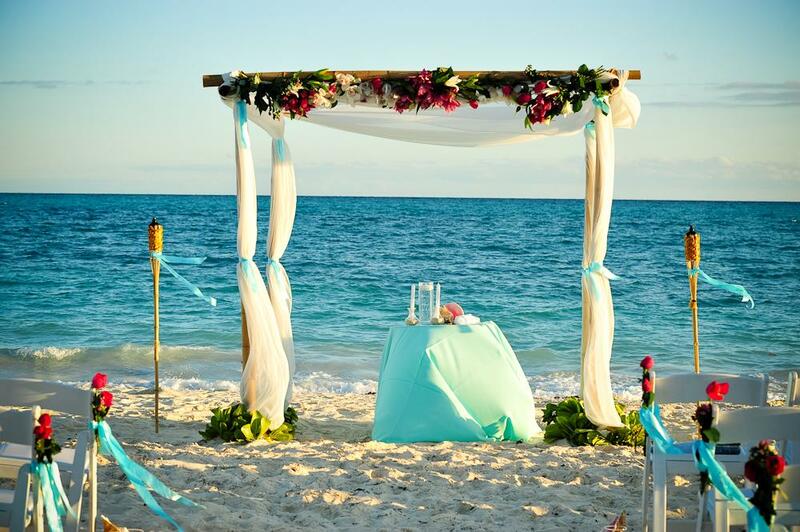 When planning a Bahamas Wedding, a big decision is always which of these islands to choose. The choice depends on convenience of getting family and friends to the destination, activities for your guests and proximity to the US mainland. 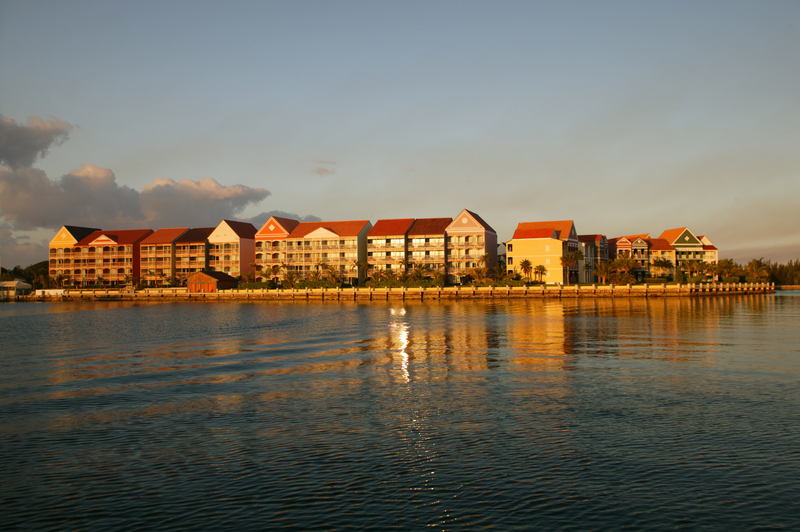 Today, we highlight the fourth largest of the islands – Grand Bahama Island. Freeport is the island’s capital. A mere 52 miles off the coast of South Florida, island is just a short 30 minute flight away from Fort Lauderdale and 40 minutes from Miami. 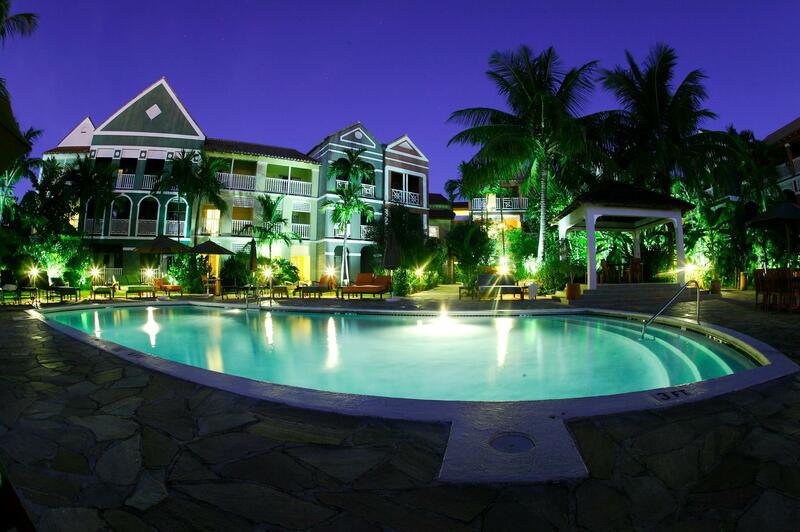 Grand Bahama Island boasts the best of nature and city life. Its most popular hotels are located 10 minutes from the international airport. Pristine beaches abound along the south shore and are easy to access. For couples looking for an up close and personal hotel experience, the leading hotel is Pelican Bay Hotel. 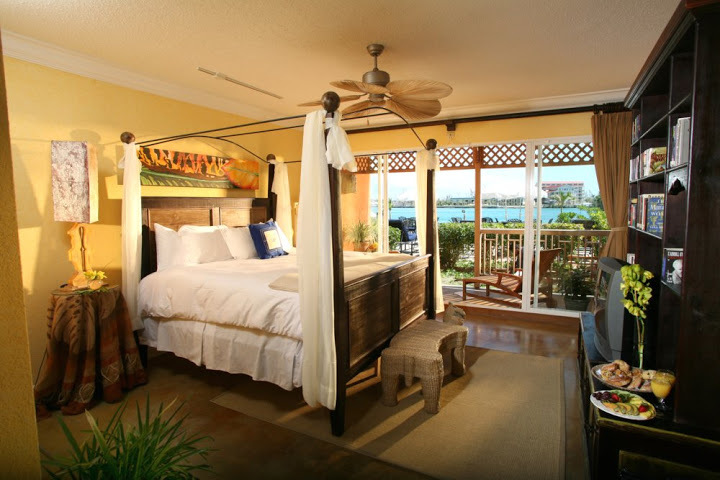 Located on Bell Channel Bay, the 186-room hotel with lovely spacious suites is steps from the Port Lucaya Marketplace, the place for shopping, dining, entertainment. The beach, casino and spa are 330 yards across the street. Golf is five minutes away. And, myriad excursions are easily arranged from the hotel. 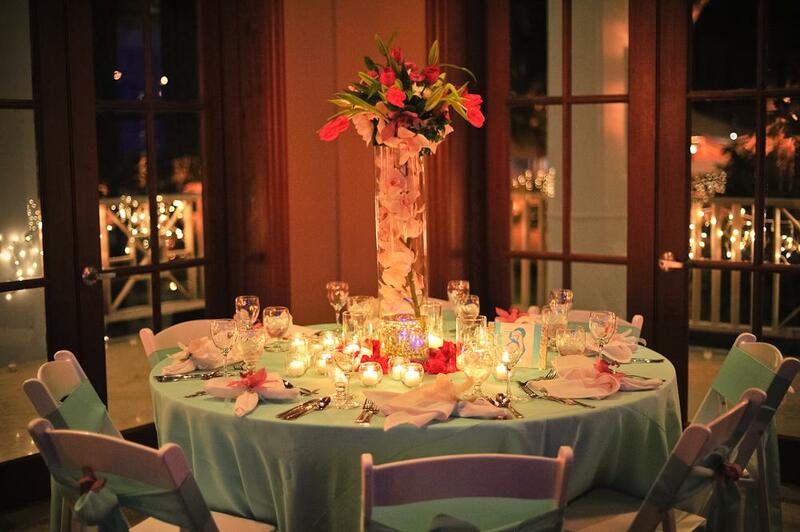 Bahamas Wedding Planners Chic Bahamas Weddings can plan every aspect of your wedding at Pelican Bay. Contact us if you’d like to know more about wedding packages at the hotel, or have a question about your special day. 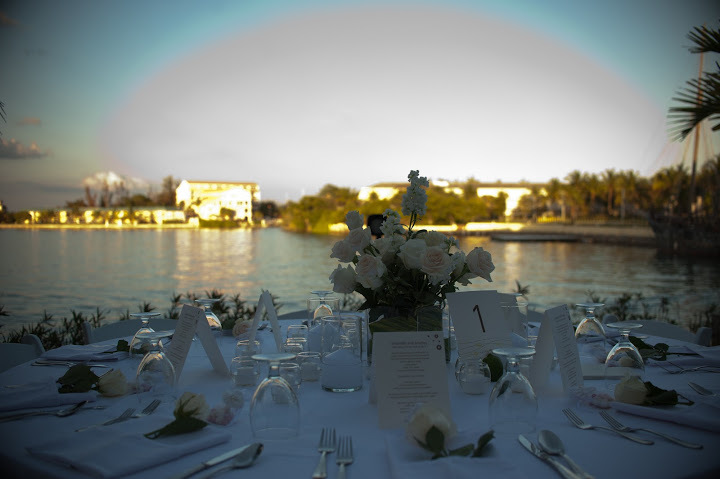 The hotel’s packages include beach front and waterside ceremonies and reception packages. Poolside photo courtesy of King Street Photo Weddings. Wedding Ceremony at Neptune’s Terrace. Photo courtesy of Donna Von Bruening Photography. Reception at Neptune’s Terrace. Photo courtesy of Donna Von Bruening Photography. Beach Ceremony. Photo courtesy of WilGrant Lifestyle Photography. Reception, Delphine’s, the Canal House. Photo courtesy of Wilgrant Lifestyle Photography.